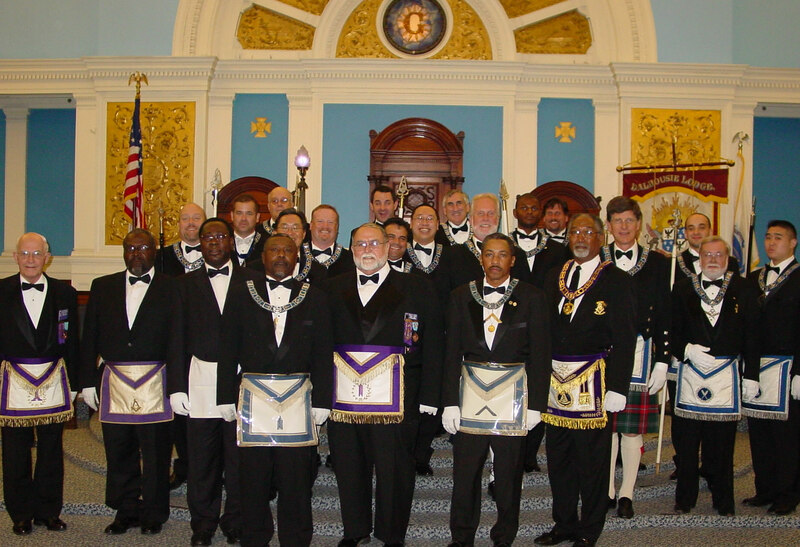 Welcome to Dalhousie Lodge F. & A.M. Newton, Massachusetts, U.S.A.
Interactive Lodge Room at the Grand Lodge of Massachusetts. Dalhousie Lodge F. & A.M.
established in 1860 at Newtonville, Massachusetts. Regular meetings are held on the second Wednesday of the month, September through June. 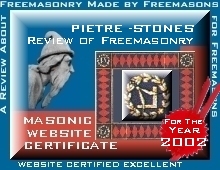 Click on the link above to access the documents area containing current and past Monthly Notices, applications for membership, applications for scholarships, Master Mason Rookie Award, Master Builder Award, membership lists, past surveys, committee reports, installation programs, and more. "Freemasonry: Is there greatness in you?" Brother Ben Franklin challenges good men, Is there greatness in YOU? 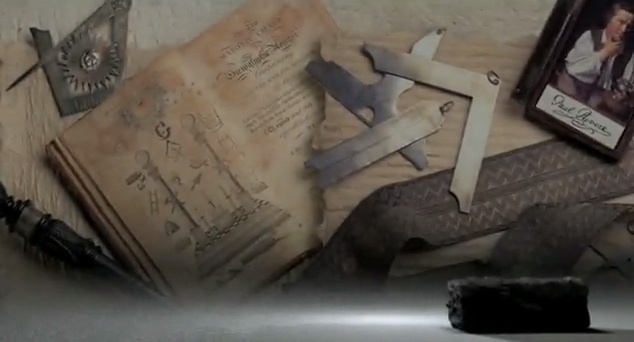 In this short inspiring movie, Ben Franklin explains what it means to be a Freemason. a way to achieve higher standards in life. and behave with kindness and understanding. by charitable giving and by voluntary work as individuals. and ethical conduct at all times. Knights Templars, and many other intriguing topics. DINNER – Caesar salad, chicken Cordon Bleu, rice pilaf, veggies, beverages, and cake for dessert. Dinner fee is $20.00. EVERYONE DINING MUST MAKE A RESERVATION BY 5:00 P.M. FRIDAY, APRIL 5. You can also make a reservation online using the Reservation Link, below. Select your Membership level on your invoice. On-line fee added. 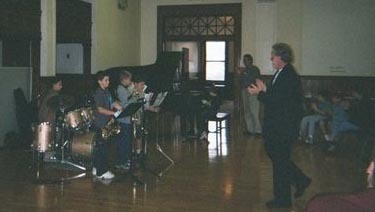 Visit our PHOTOS PAGE for these photos below and many others; click the camera, below. W.M. 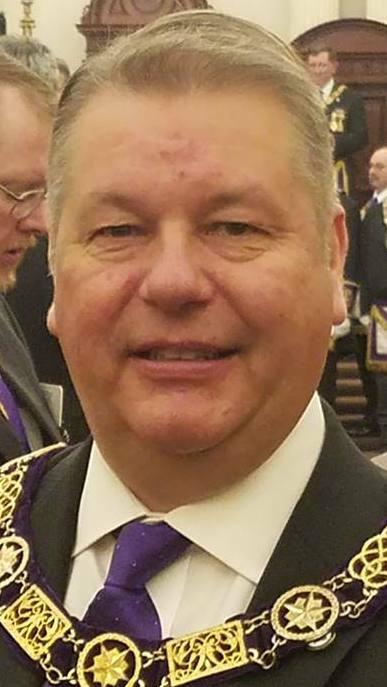 Roger Pageau, Grand Master of the the Most Worshipful Grand Lodge of Ancient Free & Accepted Masons of the Commonwealth of Massachusetts started the evening just right. 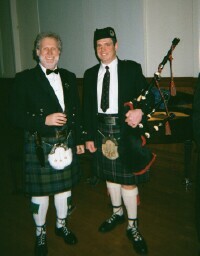 Dalhousie Officers at the Newtonville Masonic Building. 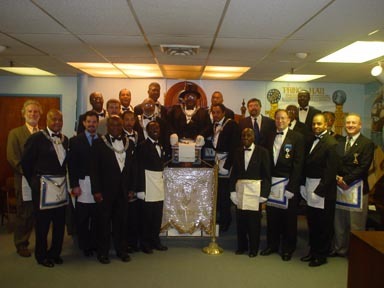 Dalhousie Brethren visit our friends at Prince Hall Celestial Lodge No. 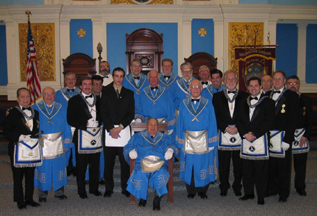 2 to witness their work Raising four Candidates to the degree of Master Mason and to retrieve the Celestial-Dalhousie "Traveling Gavel" from the Master of Celestial Lodge, challenging them to retrieve it from Dalhousie according to the rules of the gavel. 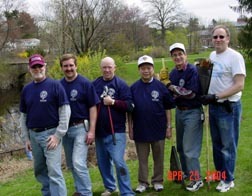 cleaning up the city on NewtonServes Day. Prince Hall Celestial Lodge #2.
by wearing a jewel named after one of the working tools of our operative mason forbearers. Click to subscribe to dalhousielodge "Bulletin Board"
Post messages to our message board; learn more about access to our "Members Only" area, share information with our members. © Copyright 2018 Dalhousie Lodge. F.& A. M., All Rights Reserved.